Lancome Black Sateen clutch cosmetic bag. It has a zipper top closure. The pull is a bow, embossed with a white Lancome rose. 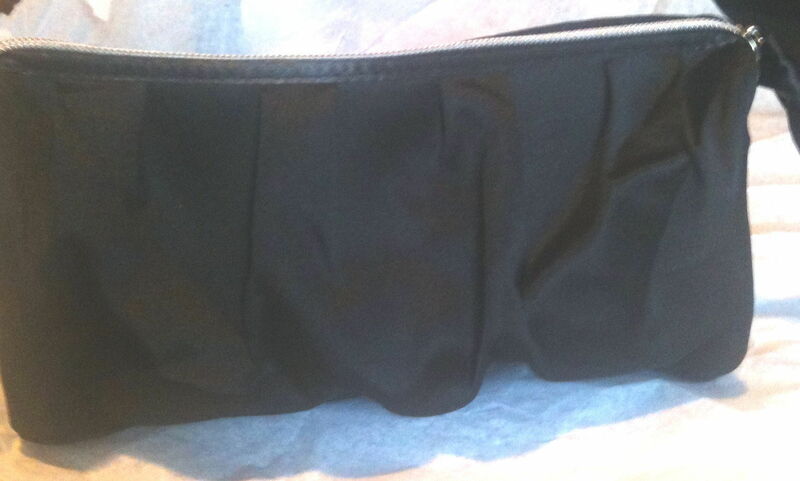 The bag is lined with black sateen fabric. It measures about 7" x 3" x 2"